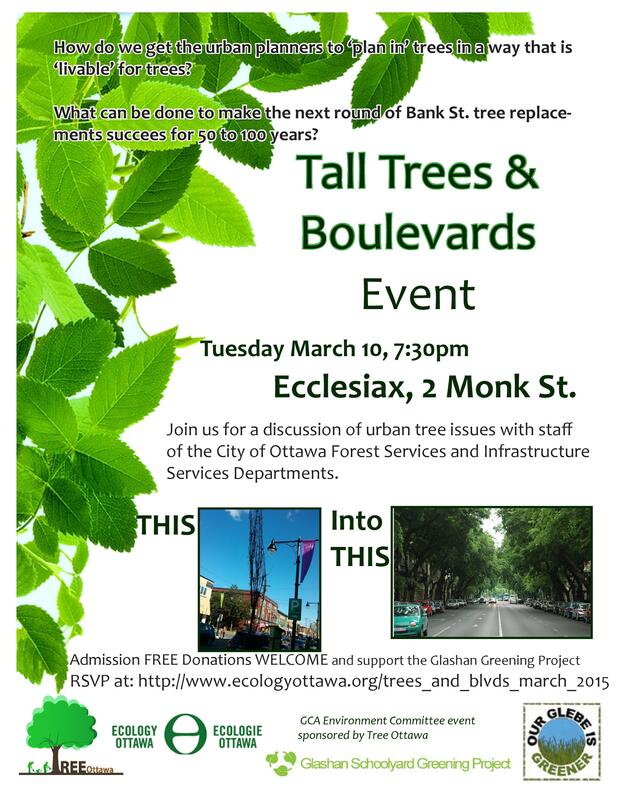 On Tuesday, March 10th join the Glebe Community Association Environment Committee and Tree Ottawa for Tall Trees & Community Visioning. The evening will feature a discussion of urban tree issues and how to ensure they thrive and survive and make our cities more livable for decades to come! The event is free, but donations are welcome and support the Glashan Greening Project. For more background on the issue read the article by Angela Keller-Herzog that helped to inspire this event! We would love to see you there! For more information and to RSVP please click here!